Blowout Sale! 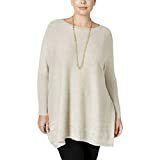 Up to 60% off on Sweaters at Femi Store. Top brands include Style & Co., Regna X, Calvin Klein, Involand, HDE, Fashion Fulfillment, ELF FASHION, Woman Within, HEO CLOTHING, Unknown, Mordenmiss, Myobe, & OLRAIN. Hurry! Limited time offers. Offers valid only while supplies last.